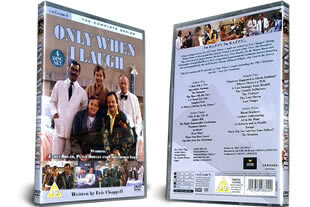 Only When I Laugh DVD box set. The complete collection of all 4 series on 4 dvd's. DELIVERED FREE IN THE UK when you spend over £15. Follow the comedy as 3 hypochindriacal and crazy patients drive the doctors and nurses mad with their constant sillyness. 4 DVD Box Set delivered to your door.